Rule 10). That thing you can’t stop thinking about. Do that. If you can’t stop thinking about it, it’s worth trying. So just start. Stop thinking about what there is to lose (there’ll probably be plenty), and start thinking about what there is to gain (there’ll always be more). And don’t try to predict your path. When you’re doing the right thing, you’ll have passion, energy, creativity, and resources that you never imagined. But they can’t show up for you until you do. Rule 11). You won’t like everyone and not everyone will like you. So save your time and energy for the ones that do. There’ll be some people you like. And there’ll be some you can’t stand. Some of them will be ‘can’t stand’ times, like, infinity. Too many times we spend time with people we don’t like out of obligation. There are only two of these situations I can think of that are worth even entertaining, and even then they both have their limits. The first is that they help to ensure your day to day survival – as in you work for them. But put a limit on this. You might not be able to walk out of a job you hate straight away, but don’t stay because you think you won’t find better. You will. It probably won’t come to you though, so you might have to hunt it down. The only other reason you’d put up with anyone difficult is for love – as in in-laws or step-someones (because you love the one they’re related to). You can do this from a position of power though, by being clear in your own head that you’re making the decision for your own reasons and not because they have some sort of power over you. Save your time and energy for the people you care about and who care about you back. The others will surely get over your indifference and lack of attention. Otherwise, you’ll get over them not getting over it. You’re going to come across jackasses. Know when to steer clear, or let go, but be daring, curious and willing to be vulnerable. Rule 12). You’re going to stuff things up sometimes. Sometimes it will be monumental. 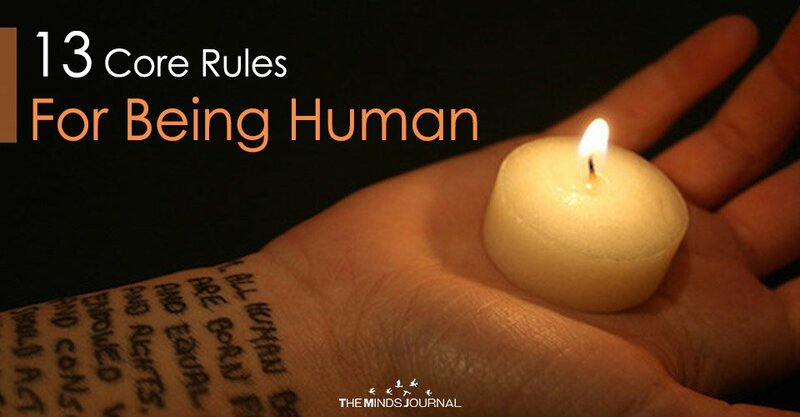 Part of being human is our right to get it wrong sometimes. It’s normal, it’s important and it’s part of growing and becoming a better version of ourselves. Own your mistakes and honor the lessons. It the only way to make sure the same thing doesn’t keep tripping you up or holding you back in the same way. Whatever you do, don’t spend too much time (or any time) regretting anything. Haul yourself up, dust yourself off and move on, all the wiser for what you’ve learned and all the prouder for moving forward. 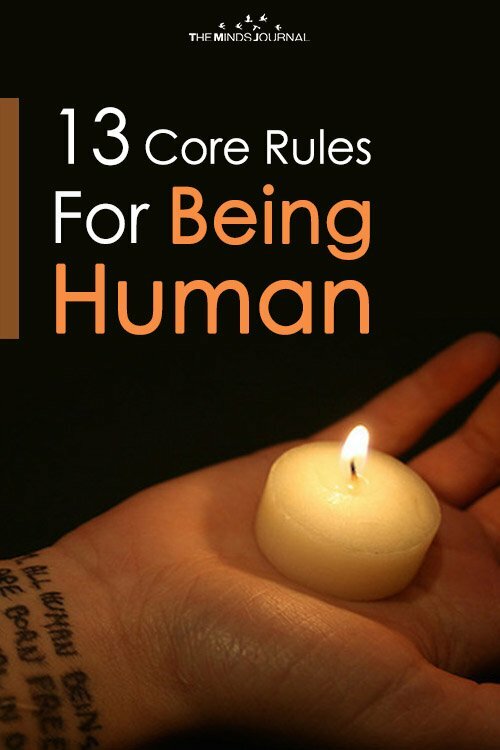 Rule 13). Love hard. It’s a superpower. There are so many reasons not to love. The biggest is that it might not be returned. One thing is for certain though, if you don’t give it out it can’t come back to you. If you’ve been hurt before, you might be reluctant to put yourself at risk again, but what you need to remember is that broken hearts heal. It doesn’t feel like that when the edges are still raw from the break, but you have to know that it’s true. What holds people back from fully living, even more than heartbreak, is the loneliness that comes from never allowing yourself to be vulnerable – the loneliness that comes from never taking the risk to connect. Humans thrive in relationships. Be open to people, relationships, connections and the sheer joy and happiness that comes from that. People will always be drawn to an open heart. That doesn’t mean you have to feel the love for every human that comes your way. You’re going to come across jackasses – particularly if you have an open heart. Know when to steer clear, or let go, but be daring, curious and willing to be vulnerable. Love will always come back to you in some way. If it doesn’t come back from the same person you give it to, be patient and open, because it’s coming from someone better. We’re all human. We all have something to offer and something to lose. We all have vulnerabilities, potential, and an extraordinary capacity to grow and be something remarkable – to ourselves and to others. The more we own every one of the beautiful, messy, confusing, rich, unlikable, warm and wonderful parts that go into making us the people we are, the more able we will be to connect, grow, love, be loved, take chances, take a stand, and fully live this life of ours.